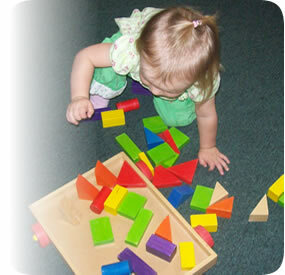 Mathematical Development: Children should be able to count objects up to (and sometimes larger than) 10. Children can learn about basic numbers, shapes and patterns through the use of stories, songs and games. Mathematical language is used with the children bigger, smaller, taller, shorter, long, heavy, light, full and empty.